Borrowing ideas from social media, Circle wants to make moving bitcoins and other types of money across borders a simple affair in more countries. The company is expanding its social payment service across Europe and preparing to bring it to China. It's already available in the U.S. and the U.K., and the expansion will make is easy to send money between more countries. Circle is like Paypal, but with social media elements like messaging. You can send money to someone using just their mobile phone number or e-mail address. In many cases, wiring money or a payment for services across borders is free, or else carries a minimal charge. Some payments use the bitcoin blockchain. You can add a smiley face to payment requests to make the whole experience a bit more fun. 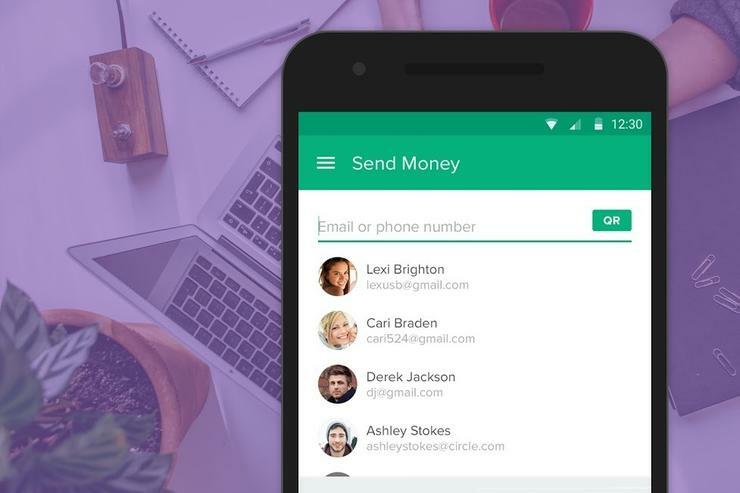 Circle charges no fees when customers use the app to send dollars or pounds sterling. And for those currency pairs, the conversion never touches the blockchain or bitcoin, a Circle spokesperson said. Users can convert and hold their balances in bitcoins, and can instantly send U.S. dollars, British pounds or euros to any bitcoin address. "The customer never needs to hold, buy or know anything about bitcoin," said Jeremy Allaire, CEO of Circle. Right now, users can send dollars and pounds via bank accounts and debit cards. Users can also attach a credit card to their Circle account, but third-party fees may apply. The service doesn't support some types of prepaid, credit and payment cards. Circle service is available via a browser or mobile apps for iOS and Android. It's regulated like a financial institution according to U.S., U.K. and E.U. regulations. Circle has started a new company called Circle China, with the goal of starting its service in that country as soon as it can. "To offer the Circle service with native support for renminbi in China will similarly require government approval," Allaire said. Social payments have been a hit in China through services like Alipay and WeChat Pay. Once Circle's starts there, it may have an edge from being able to easily convert local payments to international currencies. In Europe, the company is expanding first to Spain and then other countries over a period of months. Competitors include Venmo, which is primarily a U.S.-based digital wallet. Circle was founded in 2013 by Allaire, who previously founded the Brightcove video hosting service. The company also announced that it received $60 million in funding from companies including Breyer Capital and IDG Capital Partners (an affiliate of IDG News Service's parent company). Sam Palmisano, the former Chairman and CEO of IBM, was also part of this round of funding. There have been questions lately about the stability of electronic ledgers, but Allaire said the bitcoin blockchain is the largest, "most scaled and secure, and most liquid public blockchain," with hundreds of companies and banking systems connecting to it, enabling "frictionless global value exchange by using open protocols and open networks." Circle operates its own treasury and trading operations in all of the currencies it serves. The company is constantly trading in these currencies to ensure that customers have instant convertibility. Breaking into new countries is a big deal for Circle, which wants to make it easy to make money exchanges borderless. "Over time, we do not believe that there will be a business model to charge fees for converting currencies, and most certainly for payments themselves, both of which are becoming free utilities on the Internet," Allaire said. Traditional banks usually charge a 3 to 4 percent fee for money transfers, while digital-money transfer companies such as TransferWise and Xoom charge closer to 1 percent. So how will Circle make money? Over time, the plan is to introduce other consumer products that generate revenue, Allaire said. For now, he's staying mum on what those might be.